The real-estate industry has witnessed a boom in Pudupakkam, near Chennai. Well, the price of property in Pudupakkam has been rising over the last few years, with the growth of several infrastructural projects in the area. A few decades ago, the place was regarded as a suburban area with low transportation facilities and roadways. However, a number of developers have come up with residential complexes in the region. With easy connectivity to the nearby areas and main city, the homeowners buying flats in Pudupakkam will find no communication hassles at all. Moreover, various shopping malls and multiplexes are being developed in the region. In a nutshell, the projects in Pudupakkam offer the best standards of lifestyle to the residents. A number of families have already migrated to the residential complexes coming up in the area. In the next few years, even more apartments will open up for the homebuyers. The best part of the residential projects is that people can choose the apartments based on the floor area and prices. The 2 and 3 BKH apartments in Pudupakkam are suitable for both high-end and medium-range buyers. Besides, they can get various advanced amenities within the complex to make their lives more comfortable. In recent years, several schools and hospitals have come up in the area. The Tagore Medical College Hospital, Chettinadu Health City, and the Global Hospital are located close to the residential estates. Quick transportation facilities ensure that the residents of thevillas in Pudupakkam can enjoy fast connectivity to these healthcare centres. Important schools in the area include PSBB and Velammal Vidyashram. Besides, VIT Chennai is located in close proximity to the region. The Vivira Mall is a popular shopping centre in the region. Besides, other multiplexes and shopping malls will open up soon. The location of the plots in Pudupakkam favour fast access to all these places. The commercial areas are easy to reach from the residential estates. Commuters will find no hassle in reaching the areas. The place is close to other important places like Tambaram and Kelambakkam. 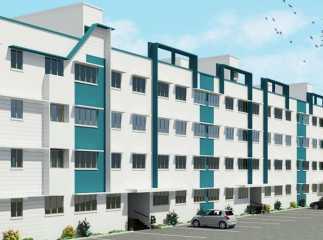 If you are willing to invest in the properties in Pudupakkam, this is the best time for you. Investors are already buying these apartments for commercial purposes and personal use. The facilities inside the complexes provide enough scope to fitness freaks. You can enjoy your time at the swimming pool or gym. Besides, the residents can opt for jogging and cycling in the tracks. The residential complexes also come with a meditation hall. Each estate has its own banquet hall, where you may arrange for conferences. The kids, too, can enjoy their time in the dedicated play areas. Book-lovers will have access to the libraries. Besides, sports lovers can have a good time at the tennis courts and indoor spaces for games. Investors have the ideal opportunity to make the best of their resources now. They can book the property in Pudupakkam Chennai with 30% advance payment and pay the remaining amount later, at the time of acquisition. Enjoy sophisticated homes with the best mix of sophistication and comfort.